Why compete? 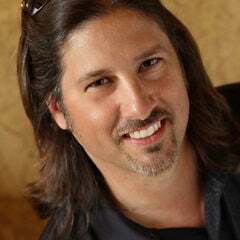 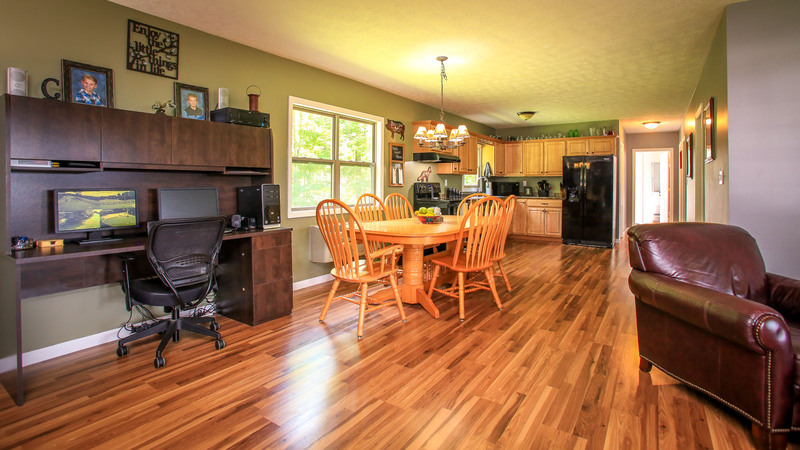 call or text Ken 859-494-5521. 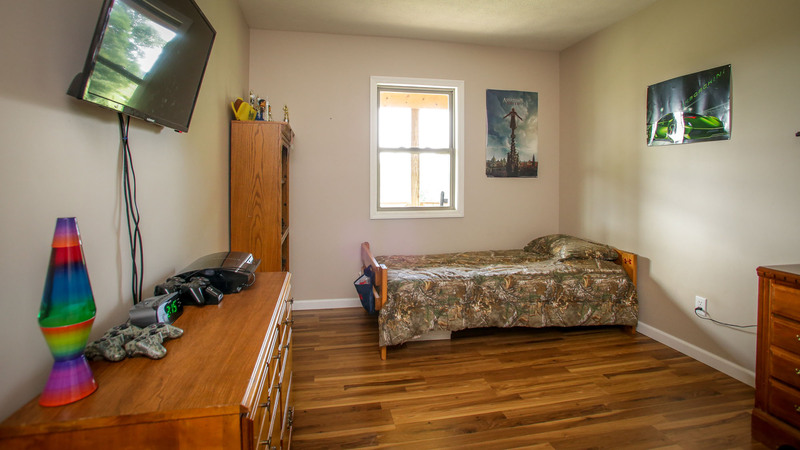 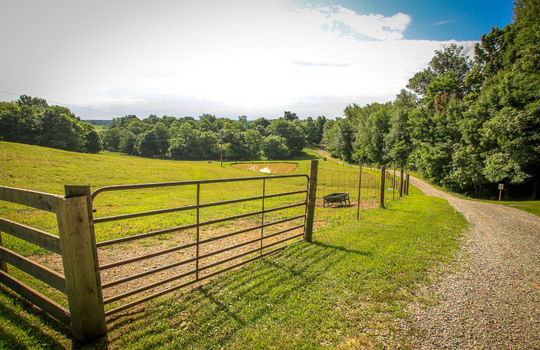 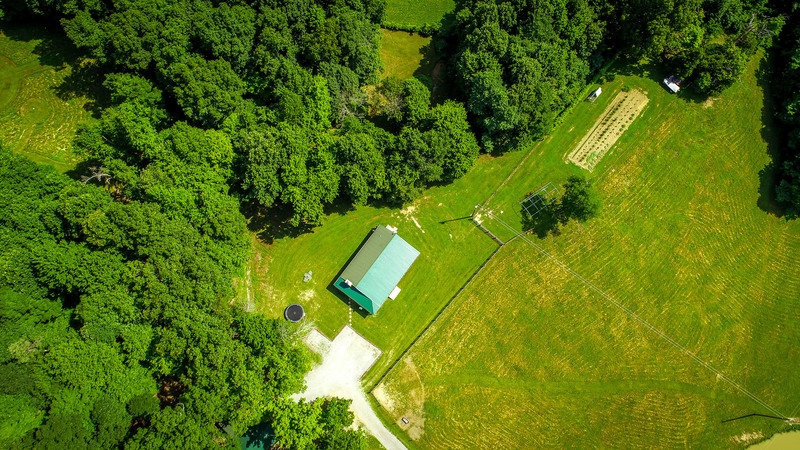 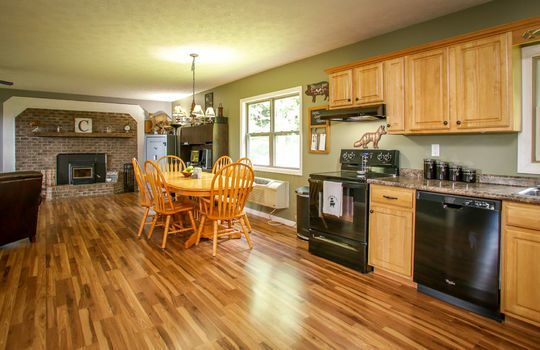 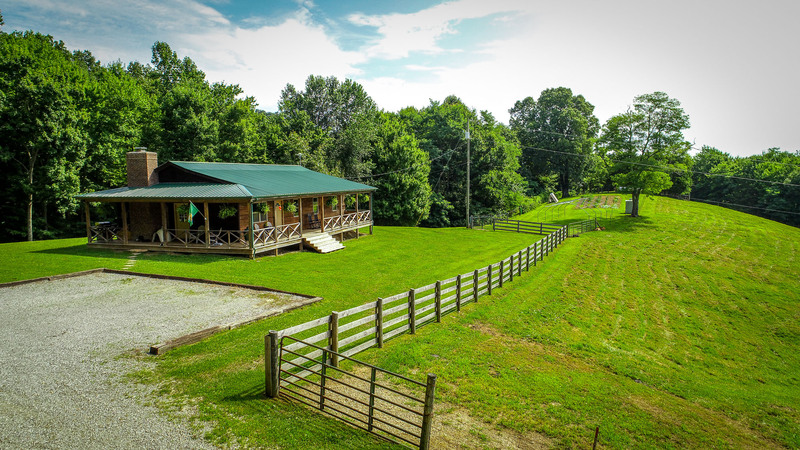 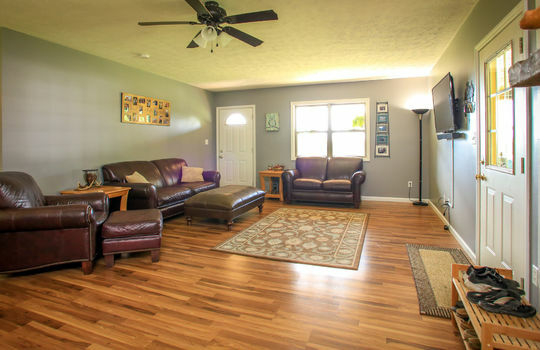 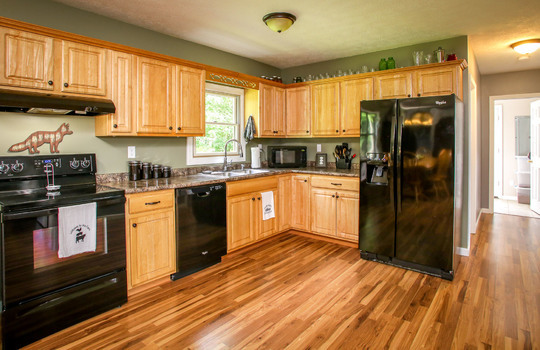 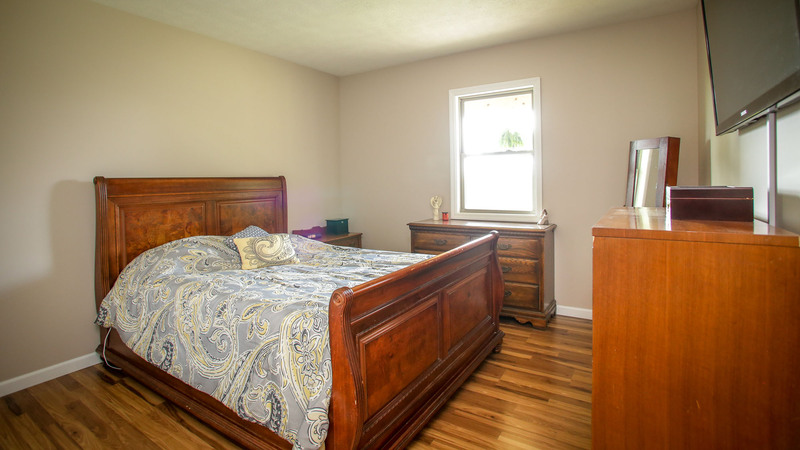 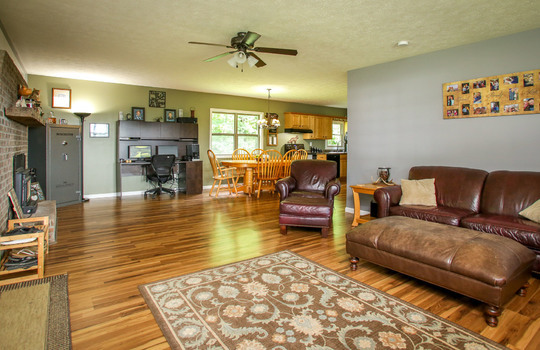 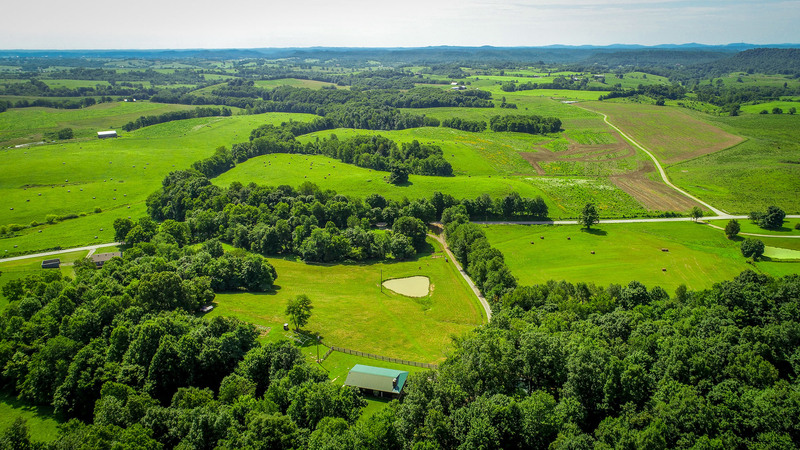 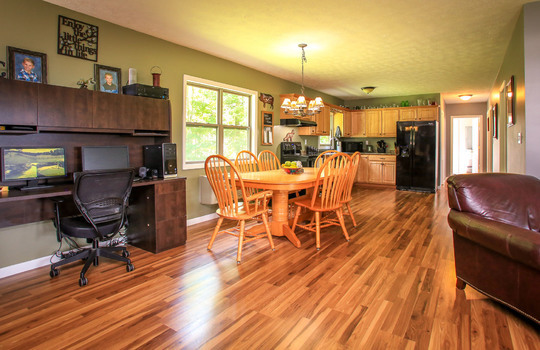 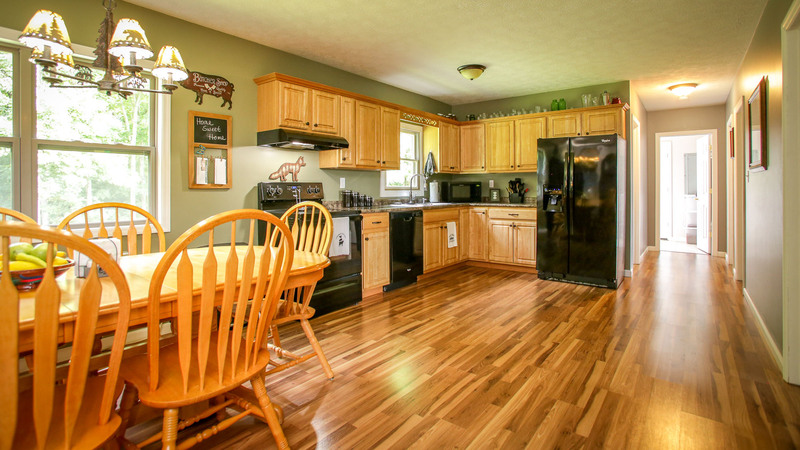 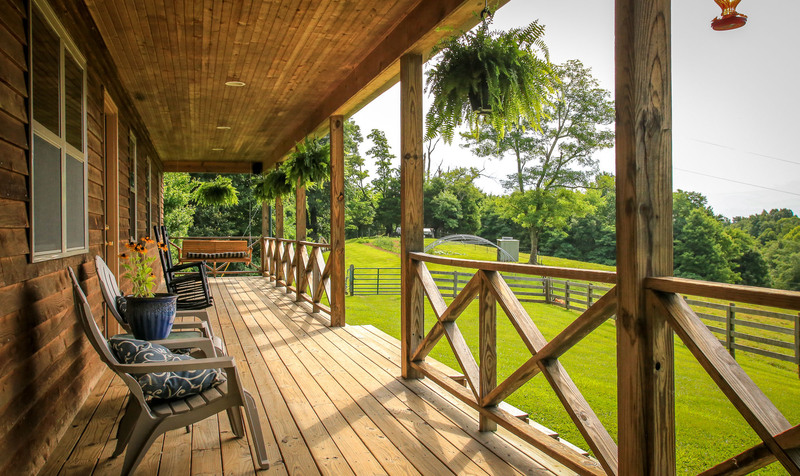 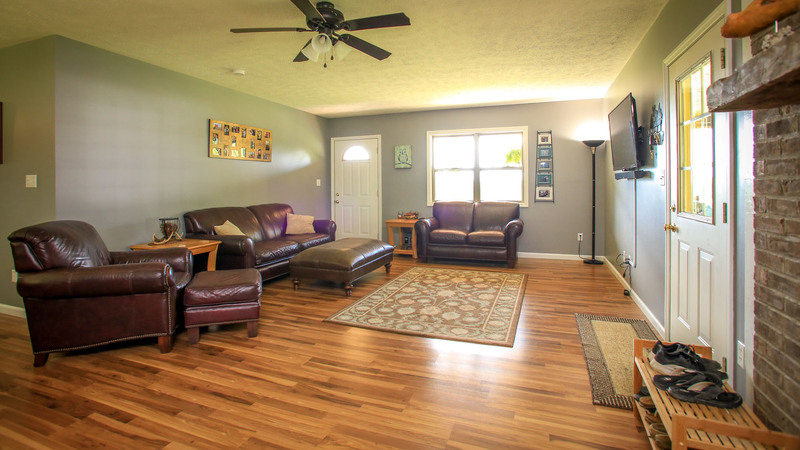 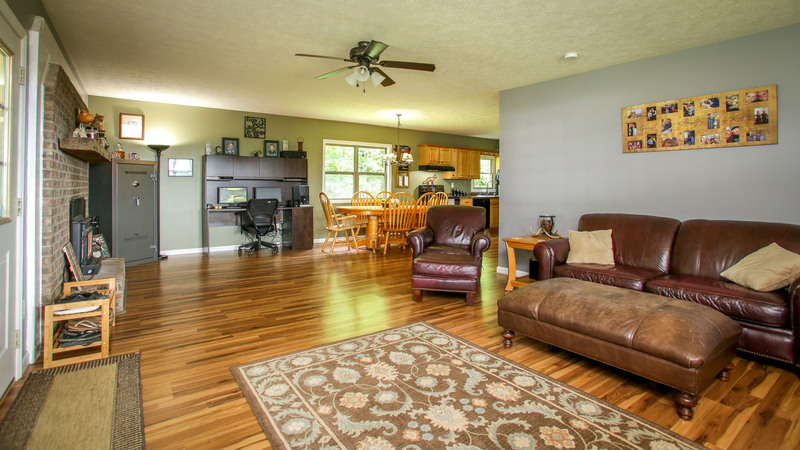 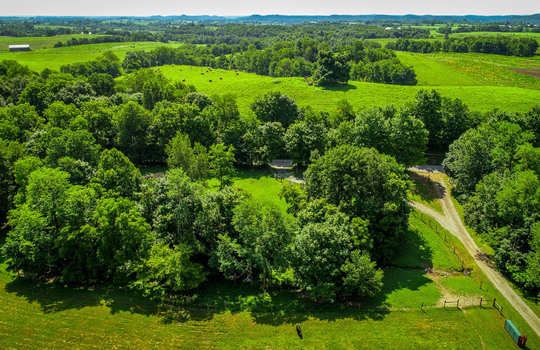 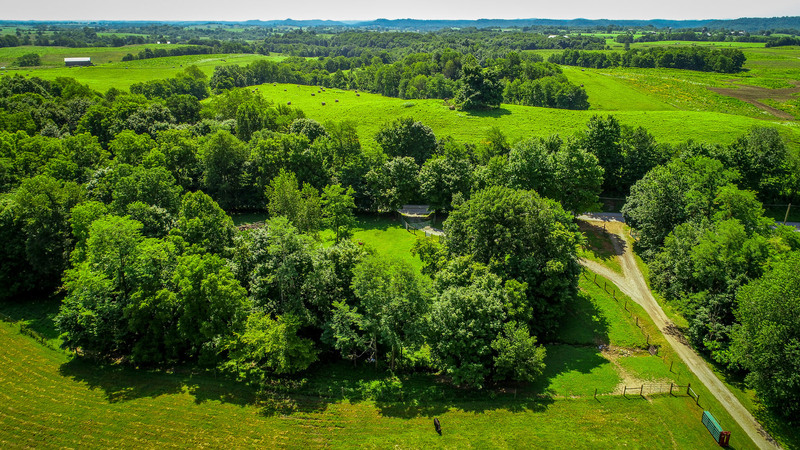 Beautiful upgraded Cedar house - all 1-floor living, sits on 25 acres of Sustainable land - two nice pastures with water and all fenced for livestock. 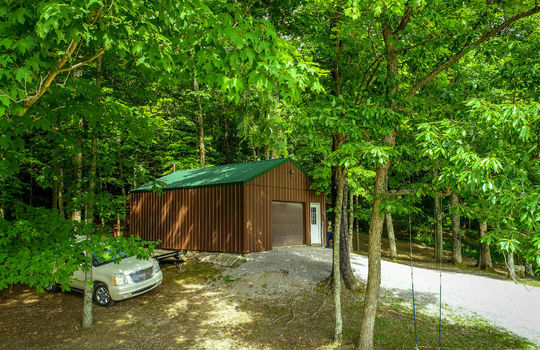 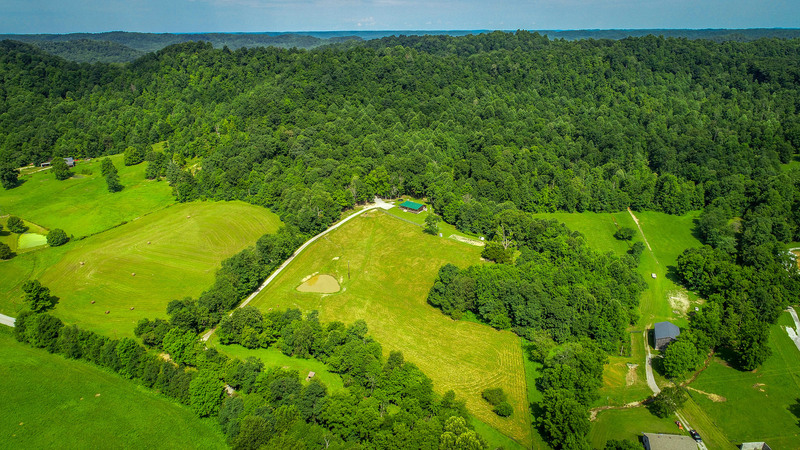 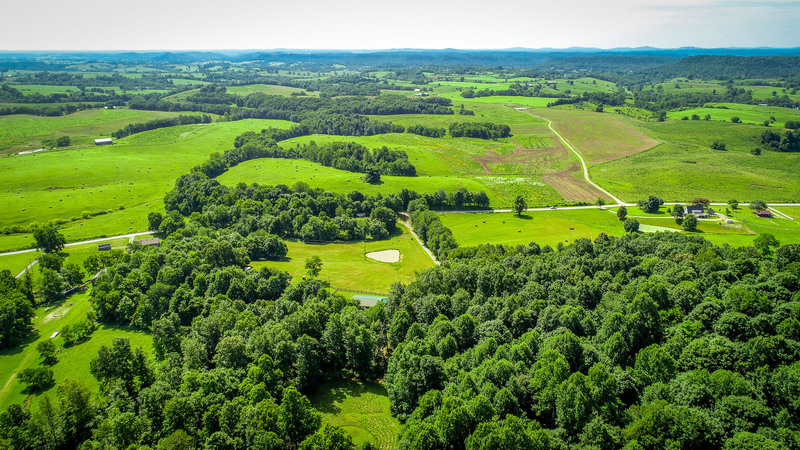 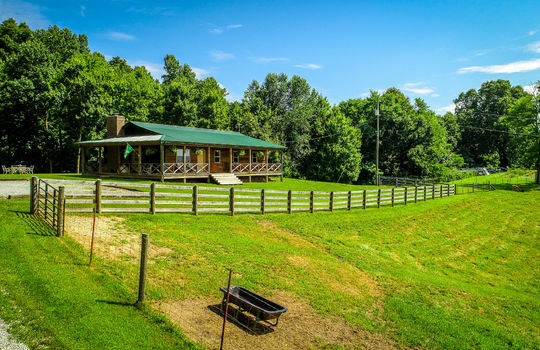 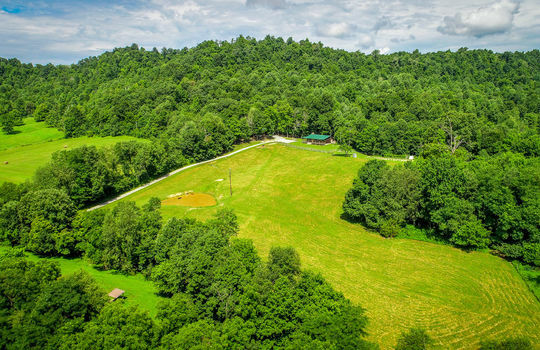 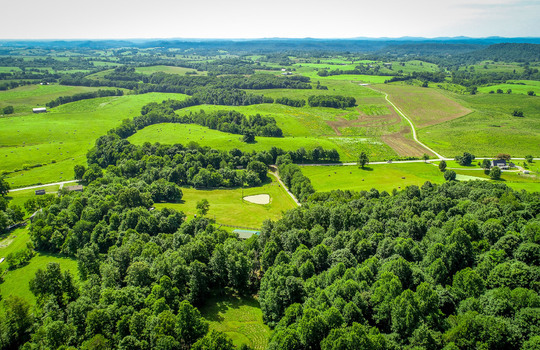 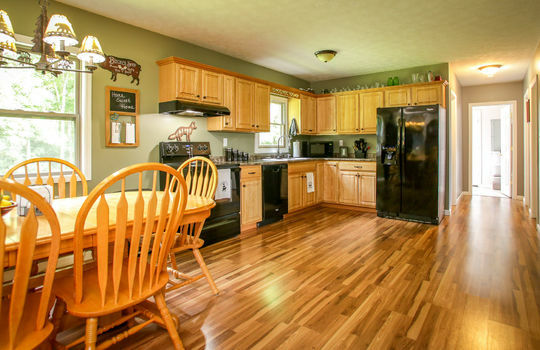 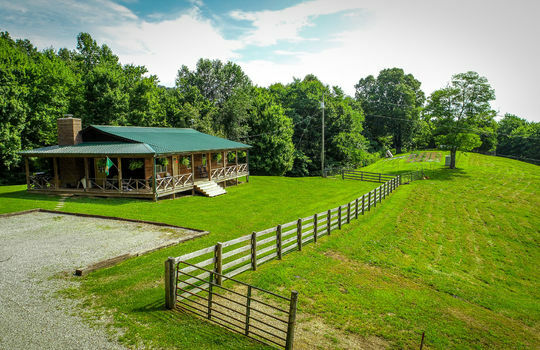 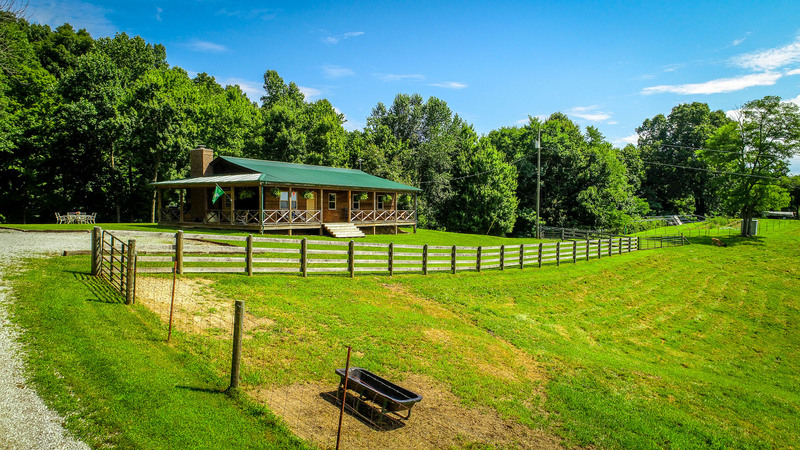 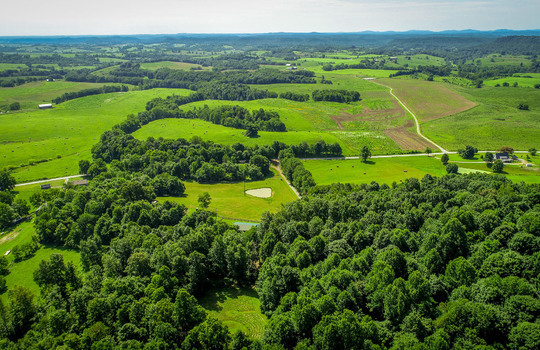 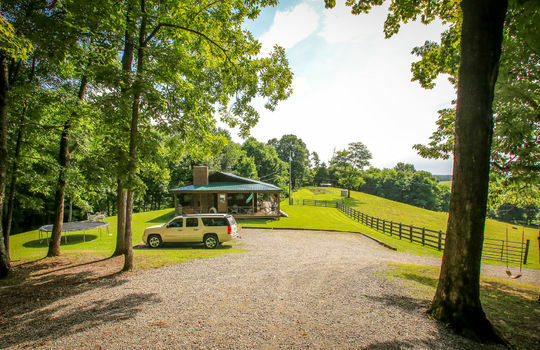 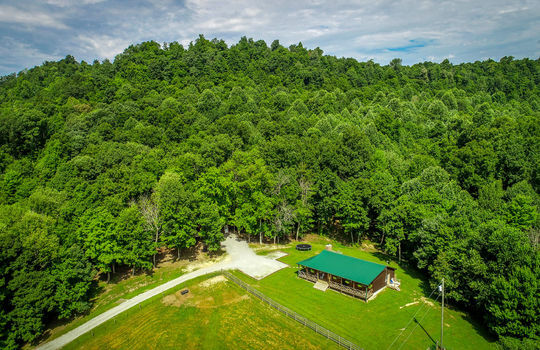 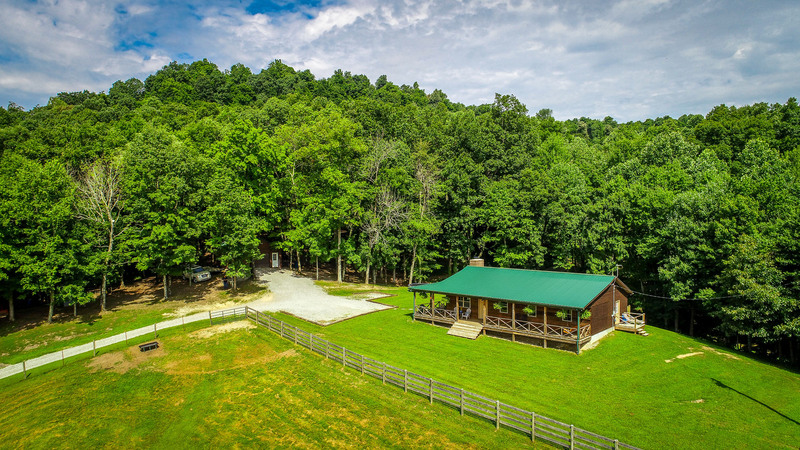 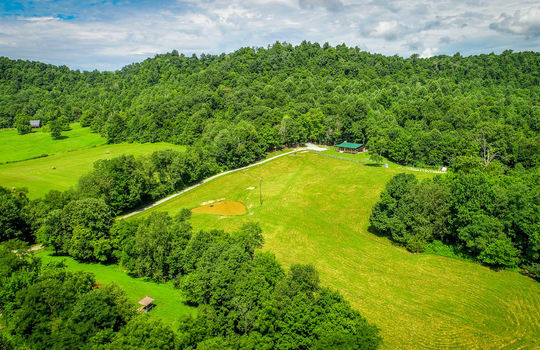 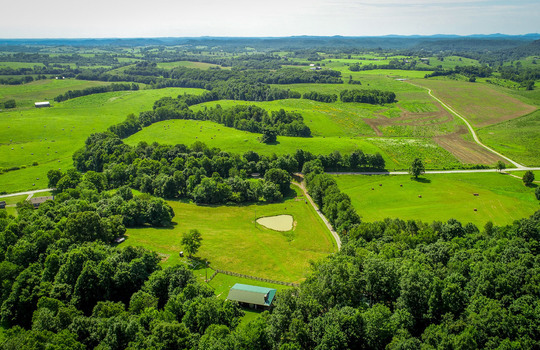 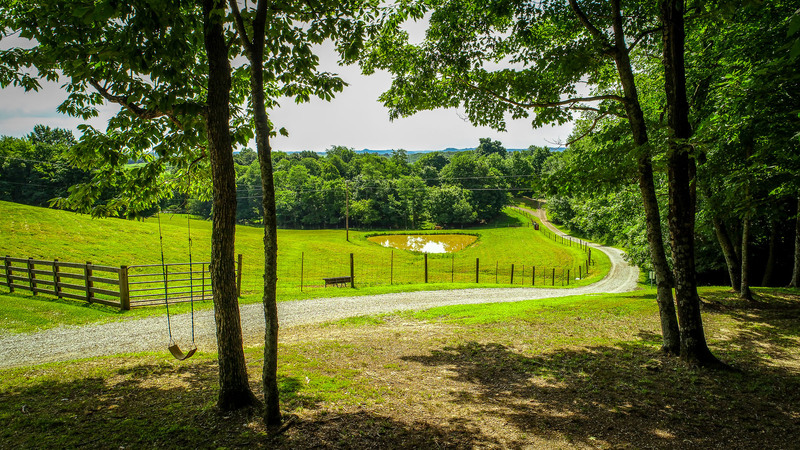 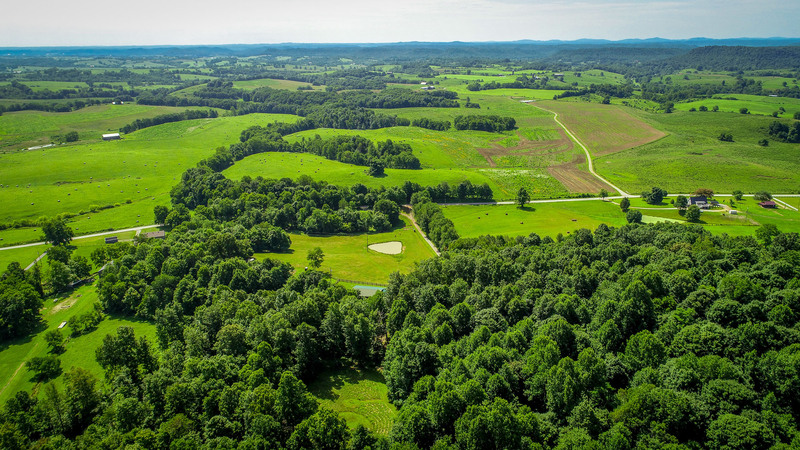 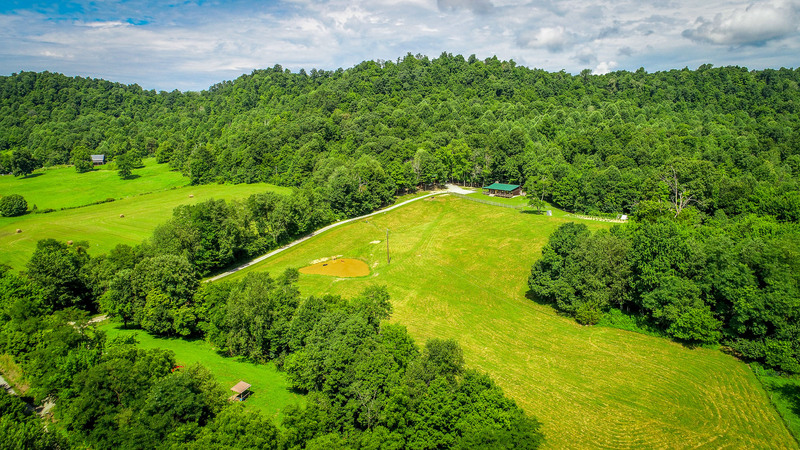 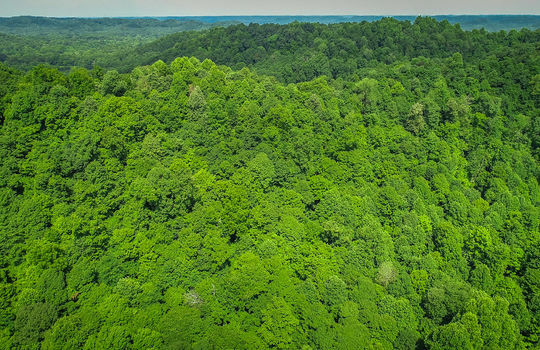 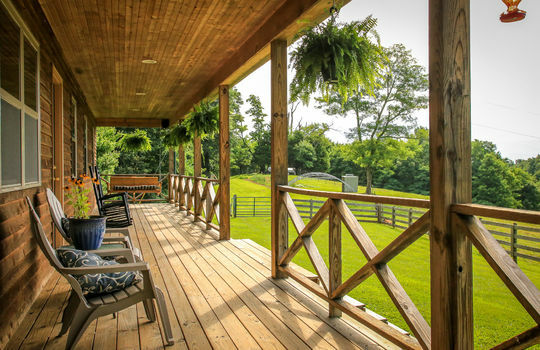 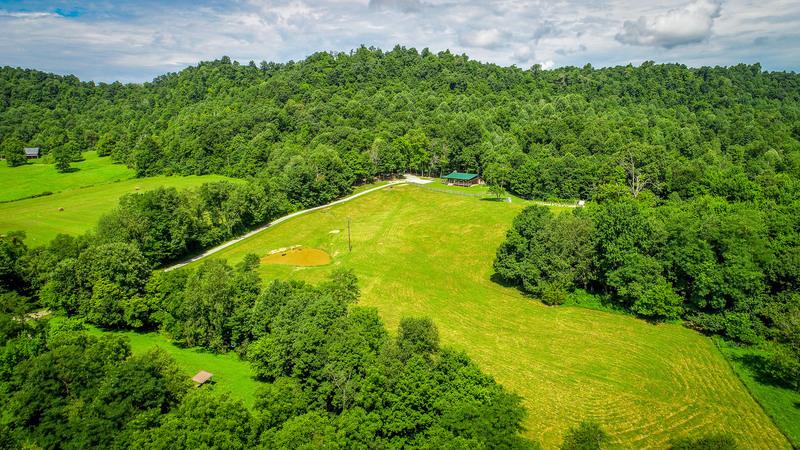 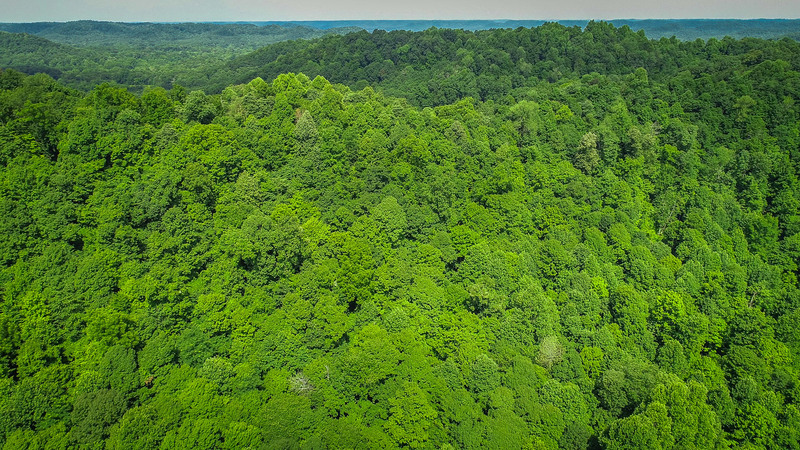 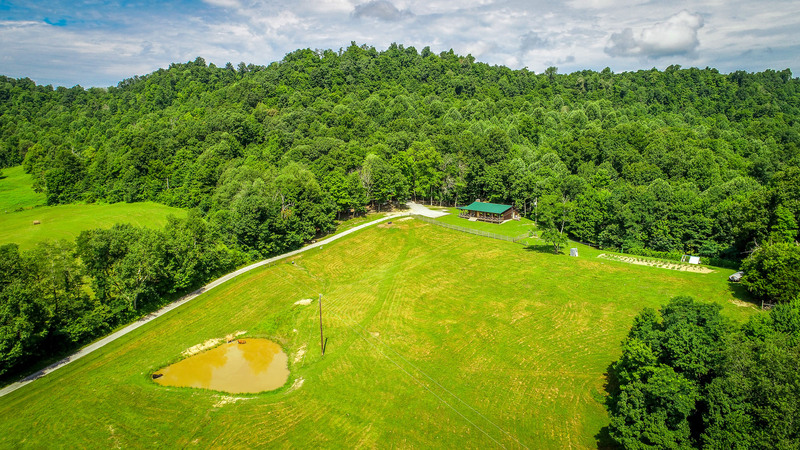 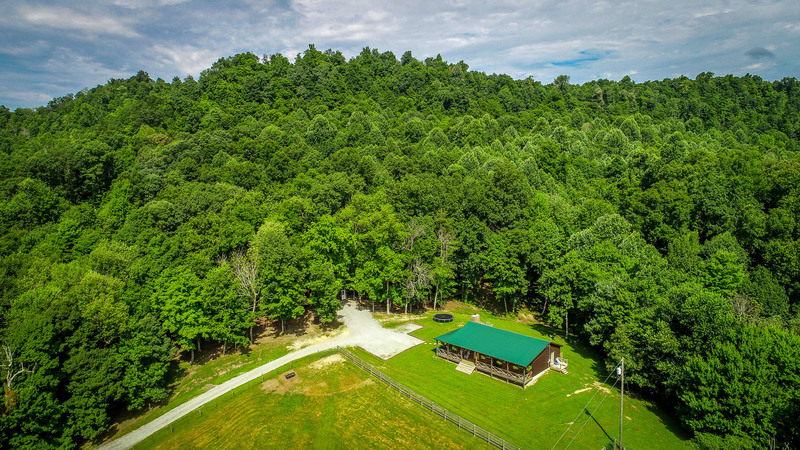 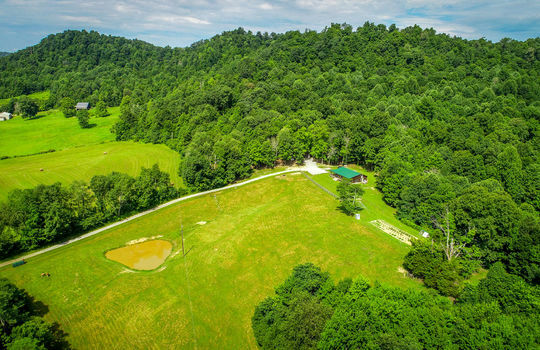 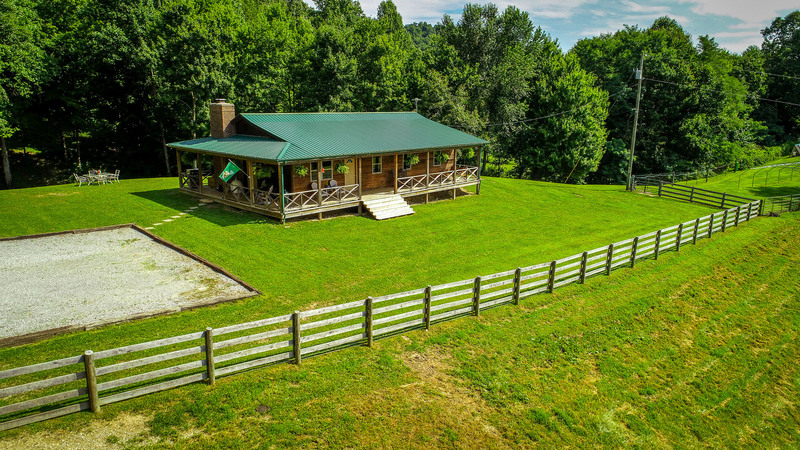 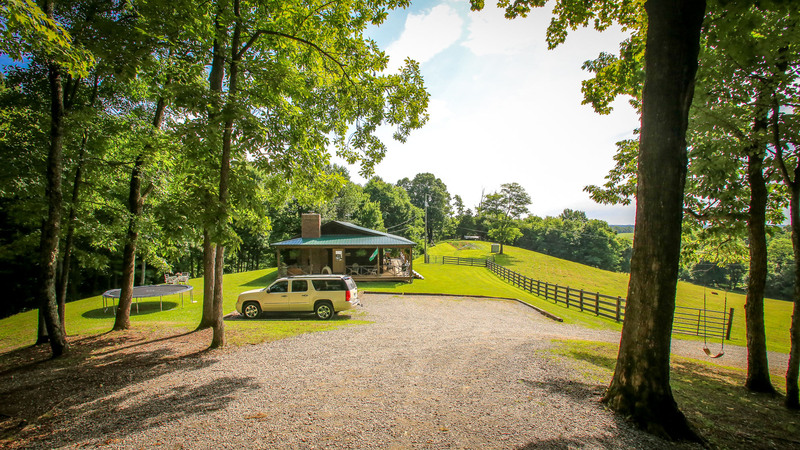 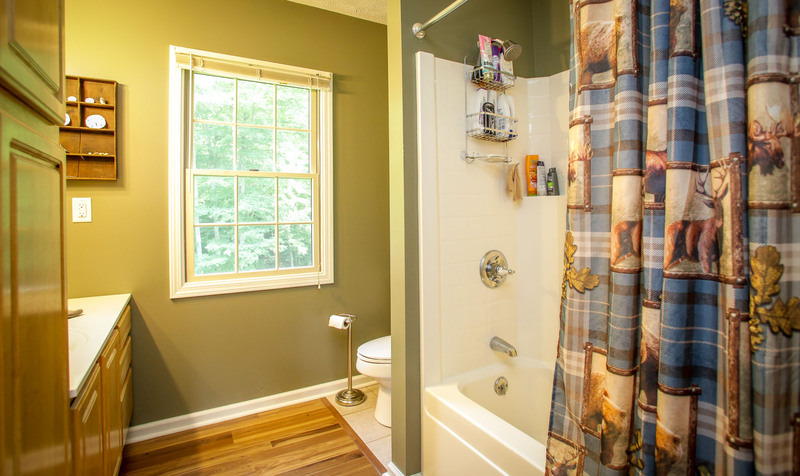 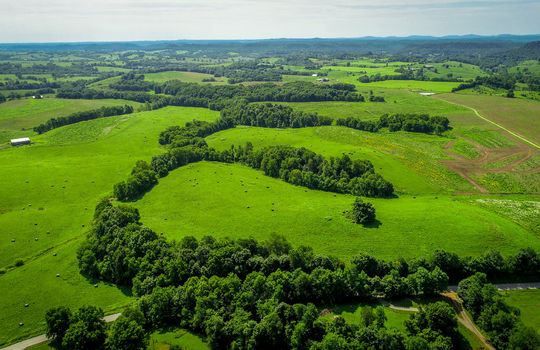 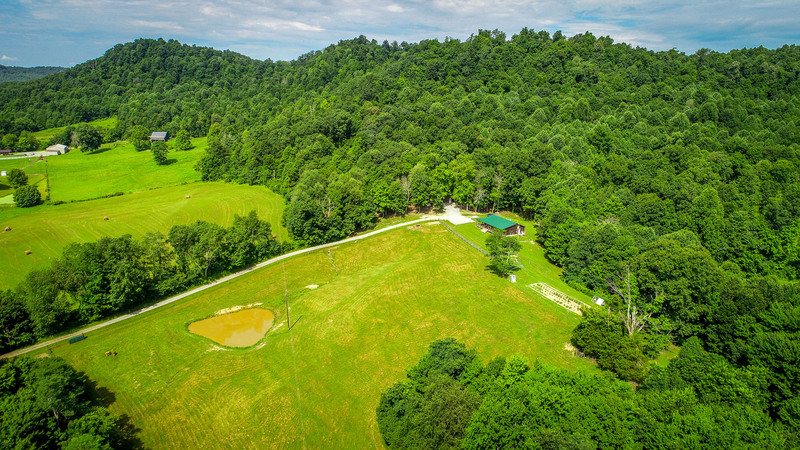 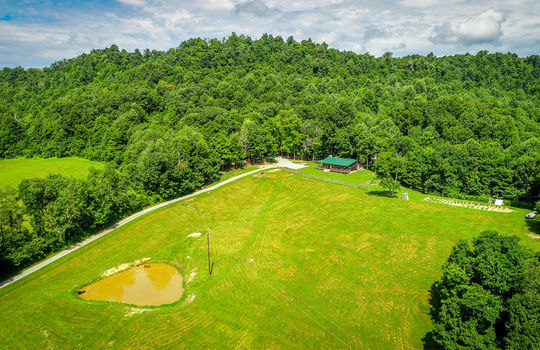 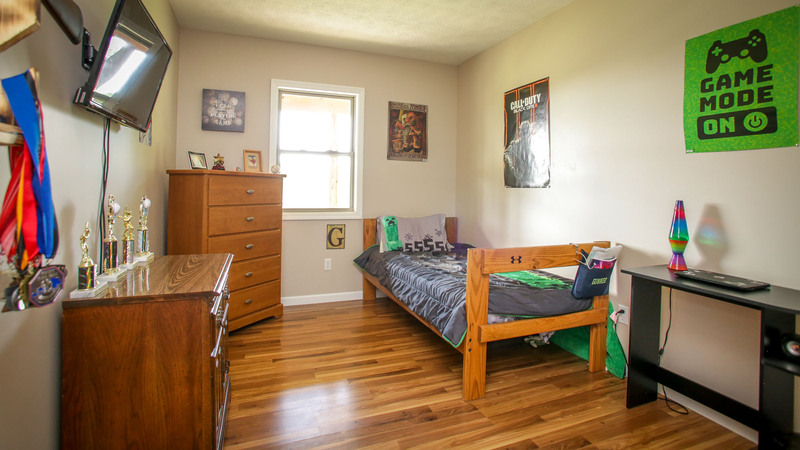 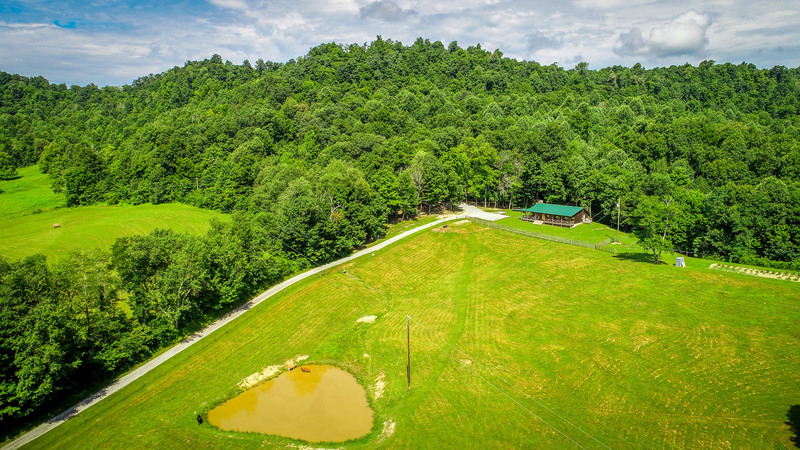 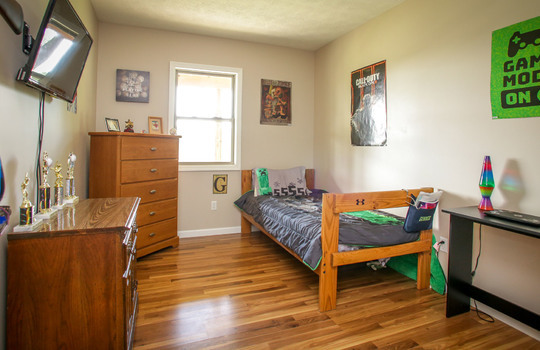 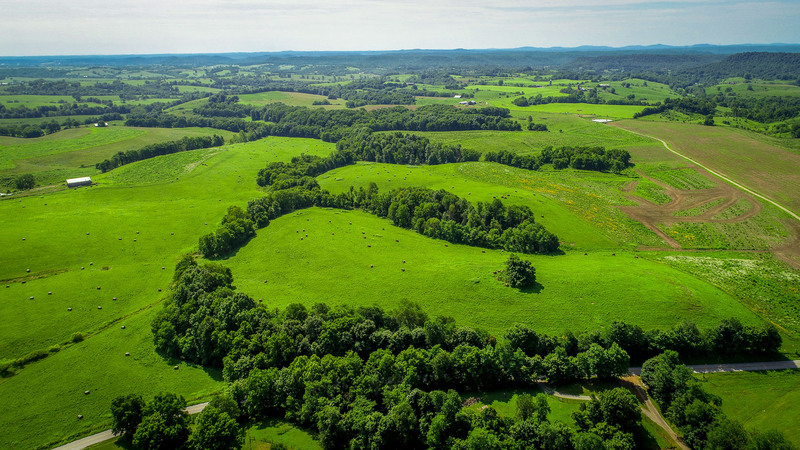 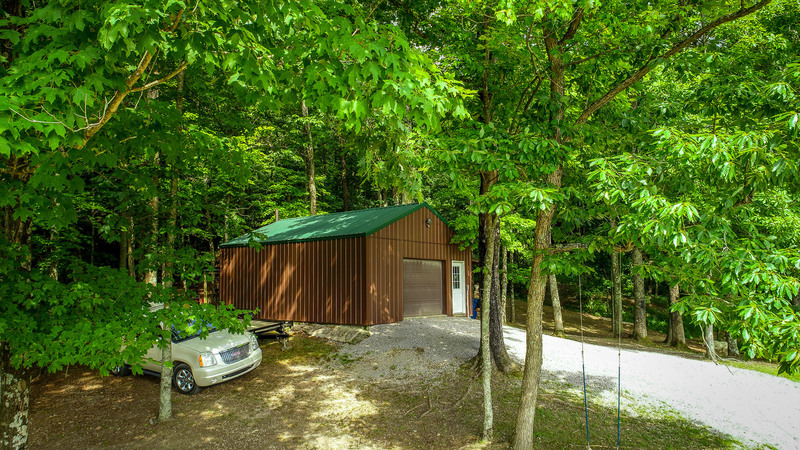 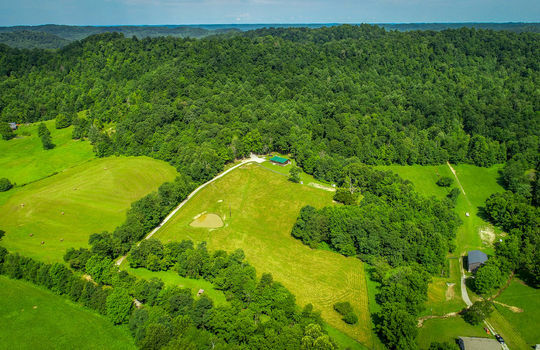 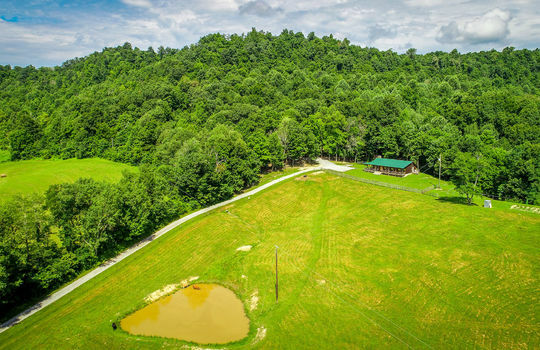 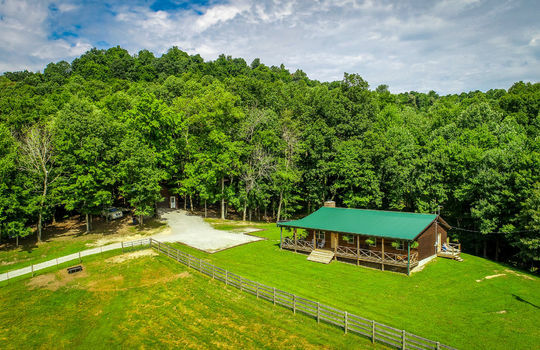 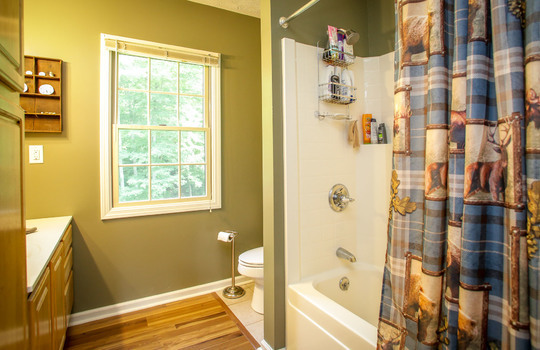 Mostly wooded land (with marketable Timber) with trails cut for horse back riding, ATVs and hiking, 2 fire pits, target range, full covered porch on 2 sides of the cabin that face east (in the shade) - and a stocked pond. 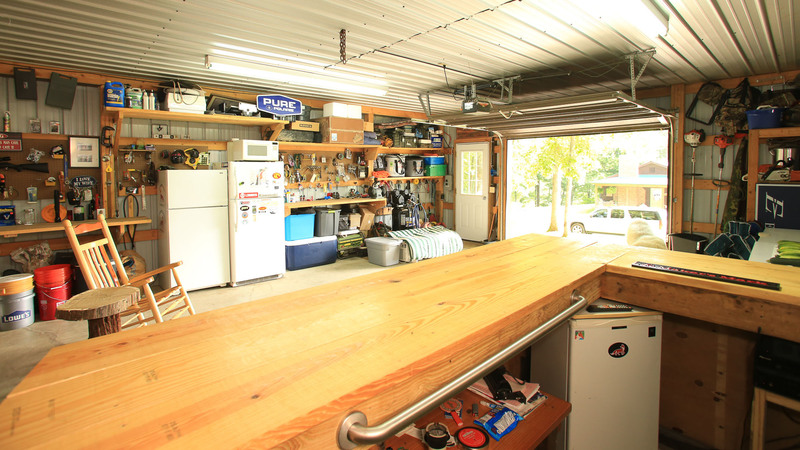 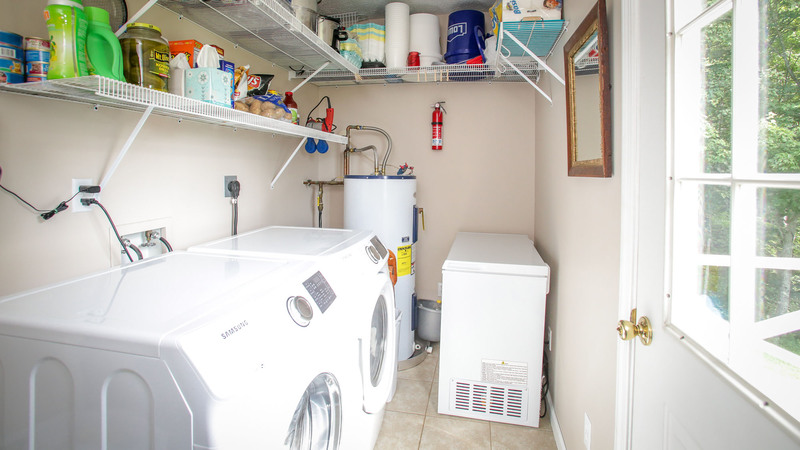 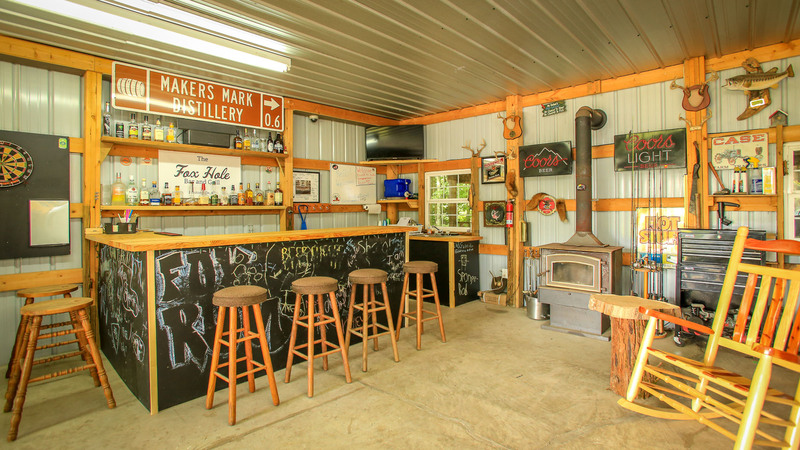 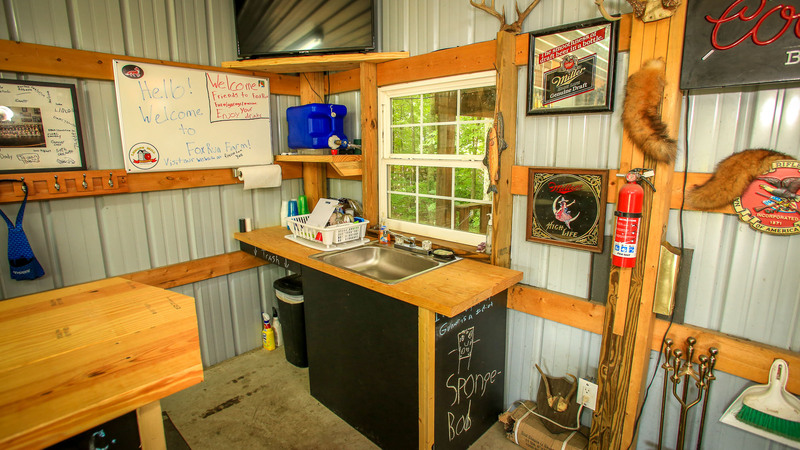 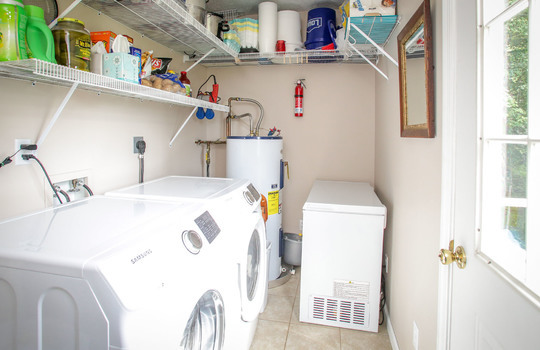 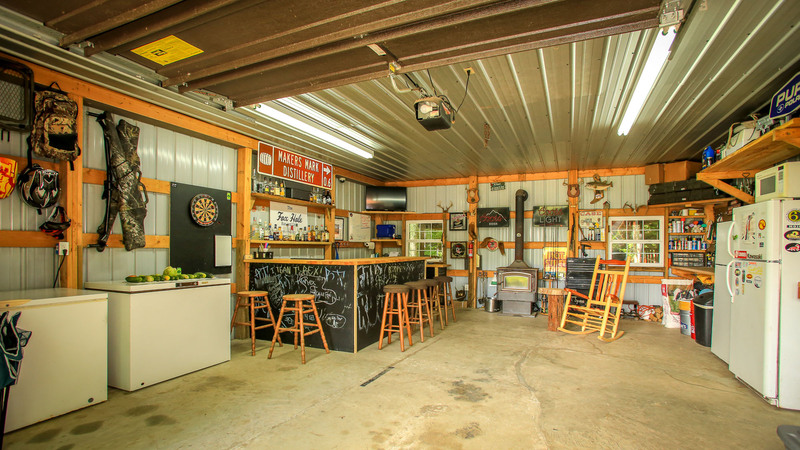 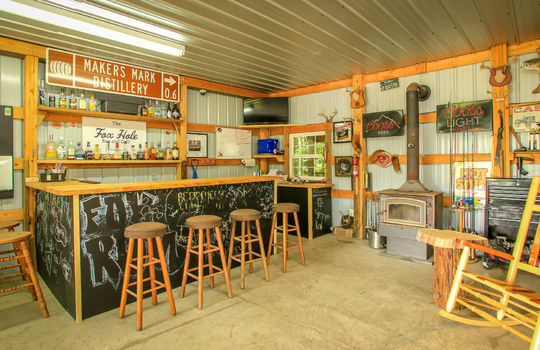 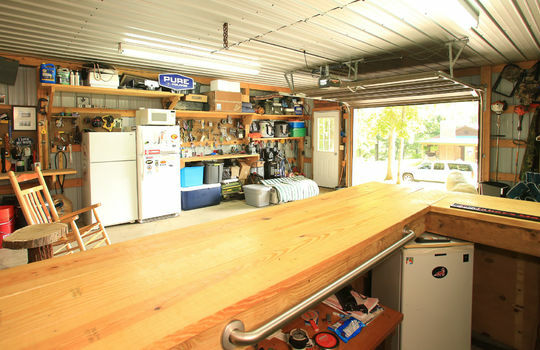 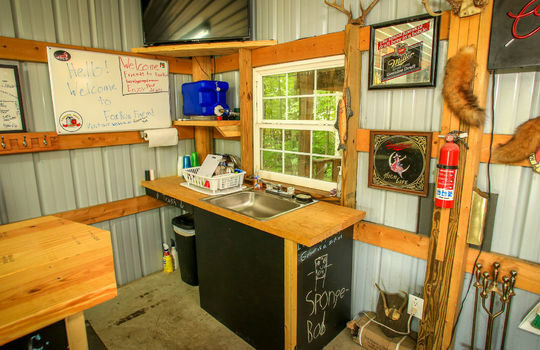 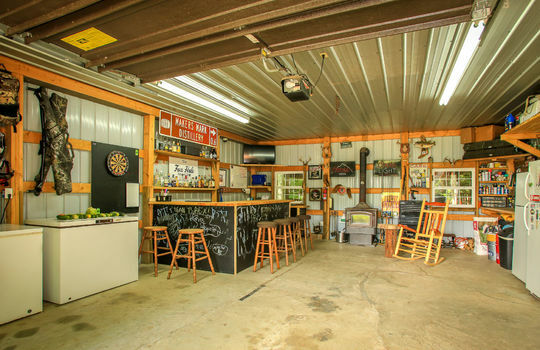 22x28 workshop / Man cave / she-shed powered with full-on Bar, sink, places foryour fridges, freezers, kegerator, keezer, etc. 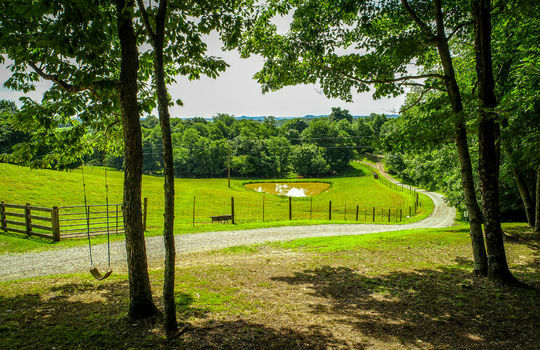 Organic garden already done for you. 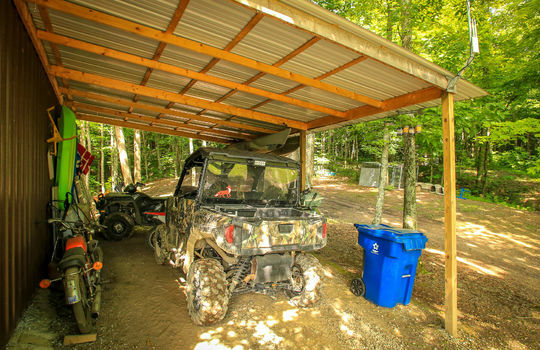 20x20 equipment shed, 23x16 lean-to. Outdoor shower! 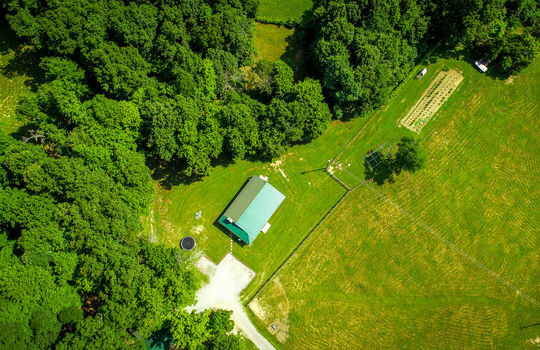 20x30 greenhouse almost finished. 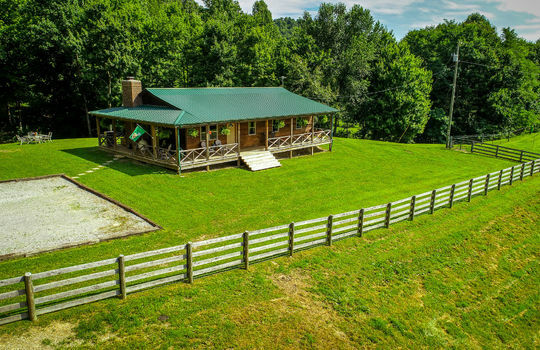 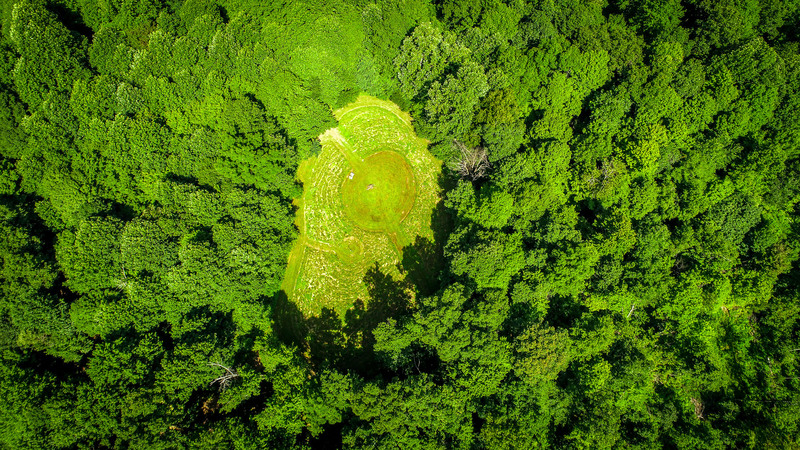 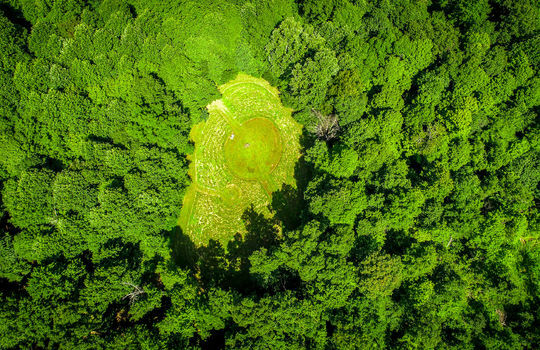 20x20 chicken coop, 9x16 woodshed, camping area all grassed and completely surrounded by heavy woods (see photo of that). 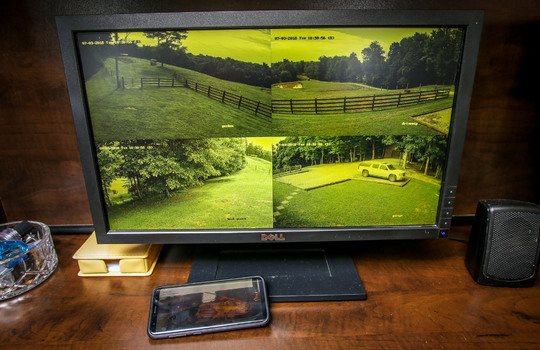 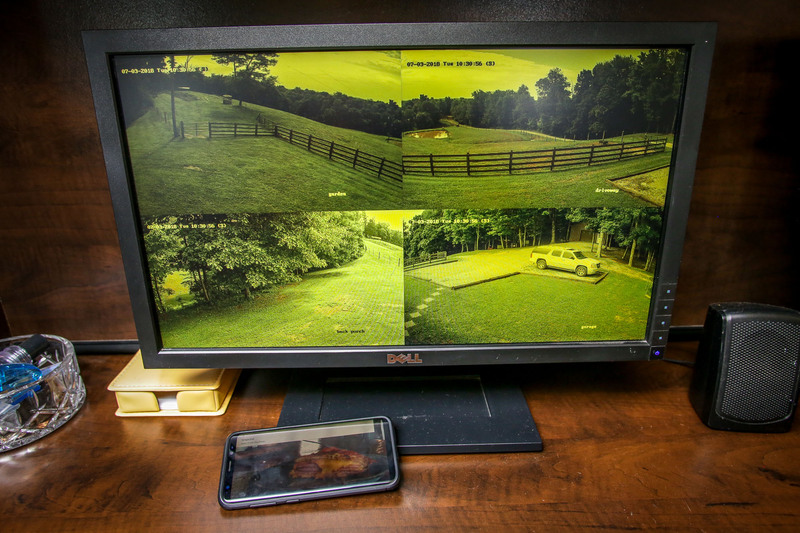 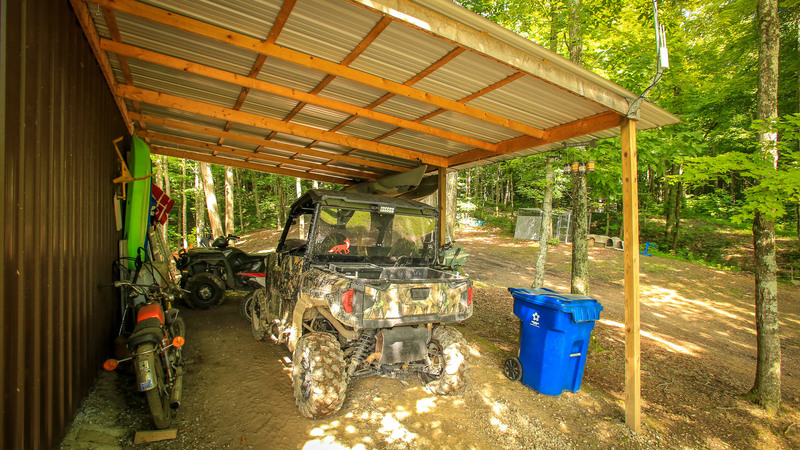 Hunting stands and feeders all throughout the farm. 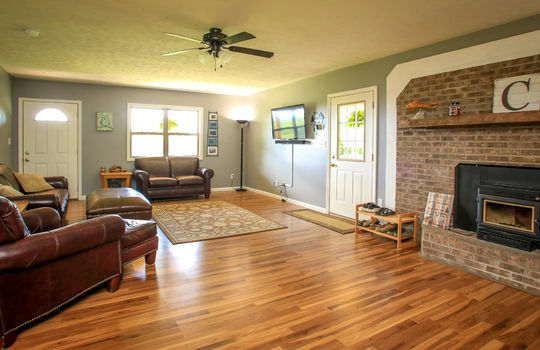 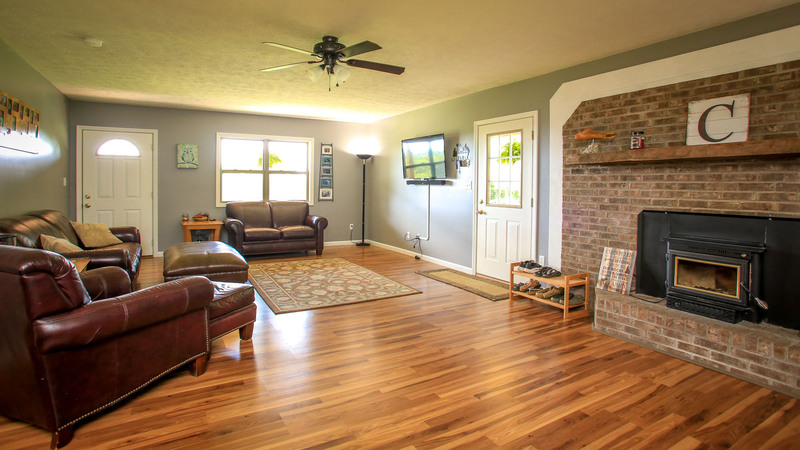 1400 sf Cedar house with brick fireplace and woodstove insert - and a metal roof! 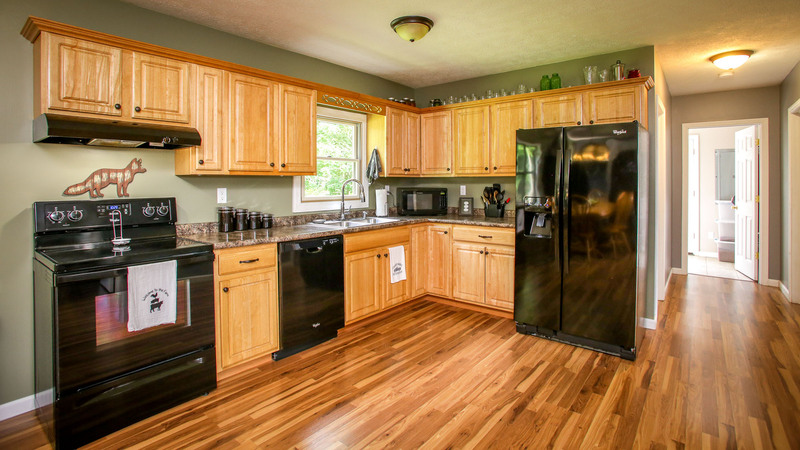 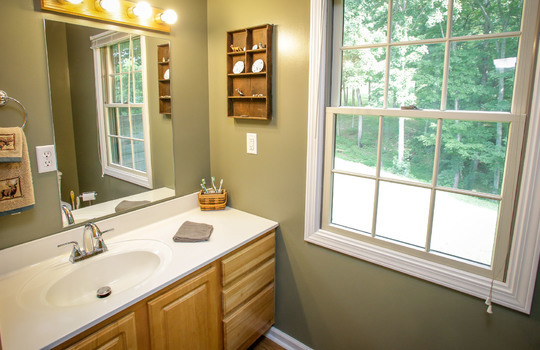 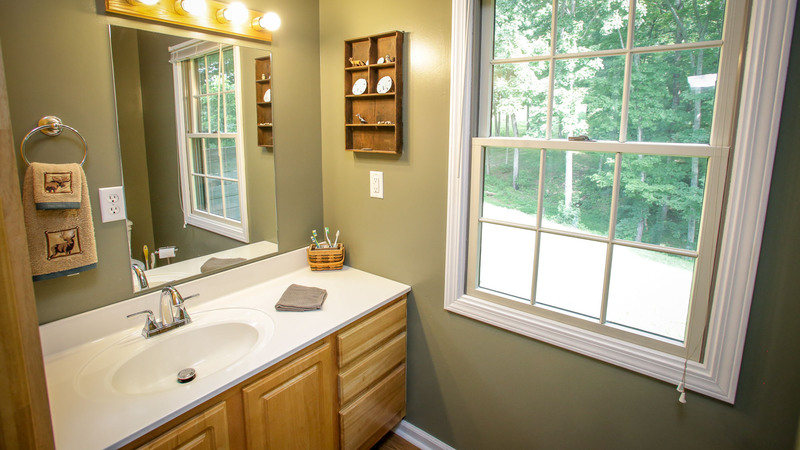 New vinyl windows, like-new appliances, super insulated. 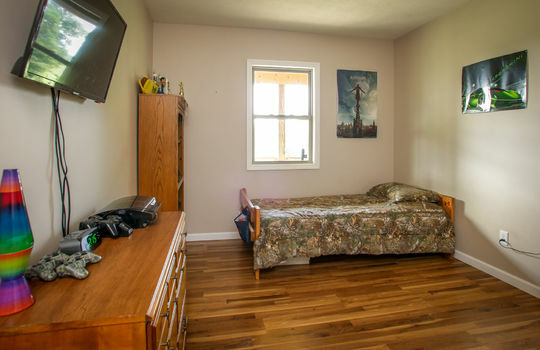 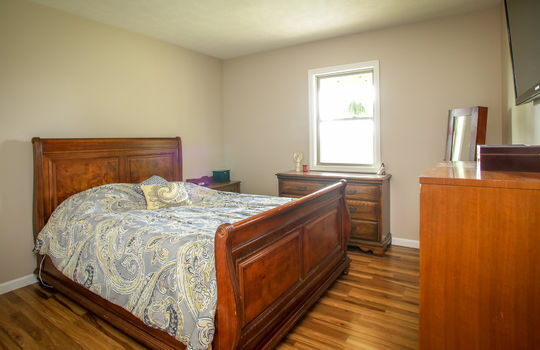 This house needs nothing ---- but you. 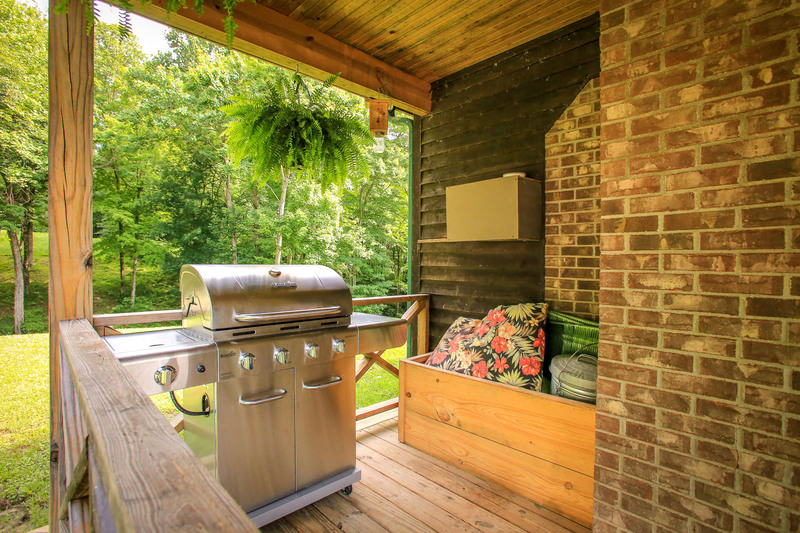 🙂 Oh, and did I mention the dual-gated entrances -- and remotely viewable camera system and outdoor speaker system?